We are a leading Wholesale Trader of teltonika fm 1200 gps/gsm vehicle tracker and teltonika fm 1100 gps/gsm vehicle tracker from Vadodara, India. 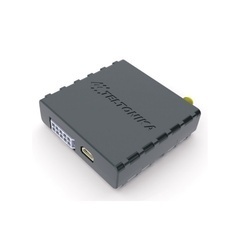 Our company is regarded as a specialist in offering a huge array of Teltonika FM 1200 GPS/GSM Vehicle Tracker. 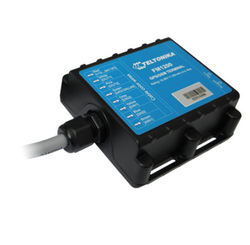 This high quality Vehicle Tracking Solutions FM1200 is water resistant and can be used in two wheelers and provides facts and figures on log of vehicle activity. Thus, these are useful for enhancing the efficiency, and enhance operations to get better productivity, ensure time management, increases customer satisfaction and reduce the overall cost. We are engaged in offering a huge array of Teltonika FM 1100 GPS/GSM Vehicle Tracker.This superior quality Vehicle Tracking Solutions FM1100 offered by us is widely appreciated for its advanced features such as low cost, robust construction, and are very efficient. Our superior grade Teltonika FM 1100 GPS/GSM vehicle tracker is highly useful for those who wish to keep eye on vehicles.